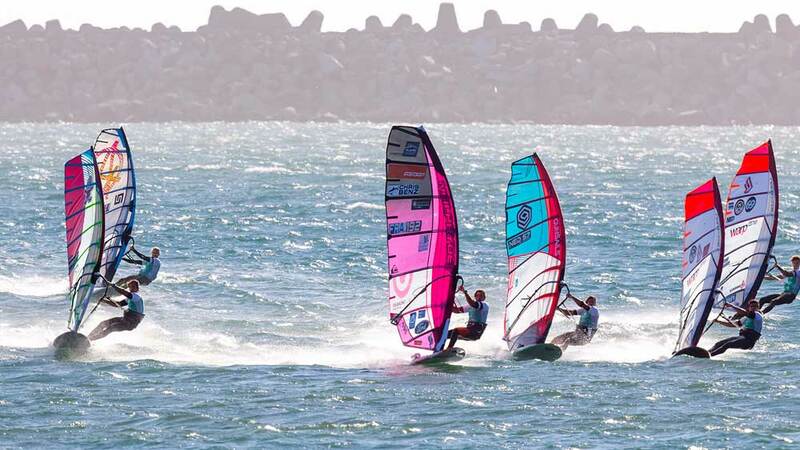 The 5th event on the 2018 PWA World Tour sees a brand new addition to the calendar, Viana do Castelo in Portugal. For the first time this season the Women’s Freestyle fleet will get in action, while also being the 4th stop on the Men’s Slalom World Tour and the 3rd and final stop of the women’s slalom tour. Today (Sunday 17) was day 5 and after 7 slalom eliminations Delphine Cousin Questel leads in front of Sarah-Quita Offringa and Lena Erdil. The event runs until June 20. Don’t forget to watch also the slalom finals of the men, too. You can expect some radical high-wind slalom action.